Amy: I wanted to thank you for not outing me in front of Ed. I want to tell him just not the night before our wedding, you know... with these things, timing is everything. 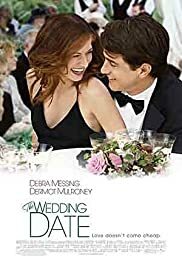 Kat Ellis: You should really time it right so that when he hears that you repeatedly screwed his best friend, he won't feel like the whole world is collapsing around him, and there's no escape because you tricked him into marrying you. Critics shritics. I loved the movie. To me, this is a great romantic comedy. It has a sweet heroine and a gorgeous man who literally is the perfect guy for her. Like critics say, it was predictable. But the movie ended exactly like I wanted it to so I wasn't disappointed at all. I left my boyfriend in front of the TV drinking beer and watching the superbowl with his buddies. Hey, if men can have a fantasy world to escape in to, so can I. Sometimes it's great to just go to the movies and escape into a romantic fantasy. I wish that every guy would see this movie because they could learn something about what women want from the leading man. It's really not that hard guys. I think this movie was the perfect escape for women who don't want to watch football.